Business trusts are a new marketing ruse for Hong Kong bankers. Injecting whole companies into special-purpose vehicles sounds innovative: even tycoon Li Ka-shing has embraced the idea for the listing of his electricity assets in the territory which could raise $5 billion. But for all the hype, business trusts offer no benefits over a regular initial public offering. They’re mostly a tool for luring in yield-hungry investors. Business trusts have been gaining traction in Asia for some time. HK Electric will be Hong Kong’s third such listing after Li’s son Richard spun off telecom assets from phone carrier PCCW into HKT Trust in 2011. Langham Hospitality Investments, a collection of hotels, listed in May. Singapore, which has introduced specific rules governing business trusts, has 16 such listings. The idea is an offshoot of real estate investment trusts (REITs), a popular way for investors to play the property sector. REITs enable investors to gain exposure to underlying cash flows without worrying about the company that manages the property. Business trusts look superficially similar: a cash-generative company is placed in a trust with a pledge to pay out most of its cash flow to investors. But these structures are poor cousins to REITS. They don’t have regulated limits on gearing, payout ratios, or the investment of funds. Companies voluntarily set the parameters in their trust deed. There are no big tax advantages either. Hong Kong lacks specific regulations for listed business trusts. Instead, companies are structured as share stapled units, where investors buy units that give them exposure to the trust and the underlying company. The entities are subject to the same regulations as a normal listed company. The main advantage is some increased flexibility around dividend payments, but normal Hong Kong-listed companies can achieve the same outcome by incorporating offshore. Many already do. The main advantage of setting up a Hong Kong business trust, then, is to signal to prospective investors that the stock will pay a healthy dividend. While that may help bankers fill their IPO order books, it’s little more than a marketing tool. 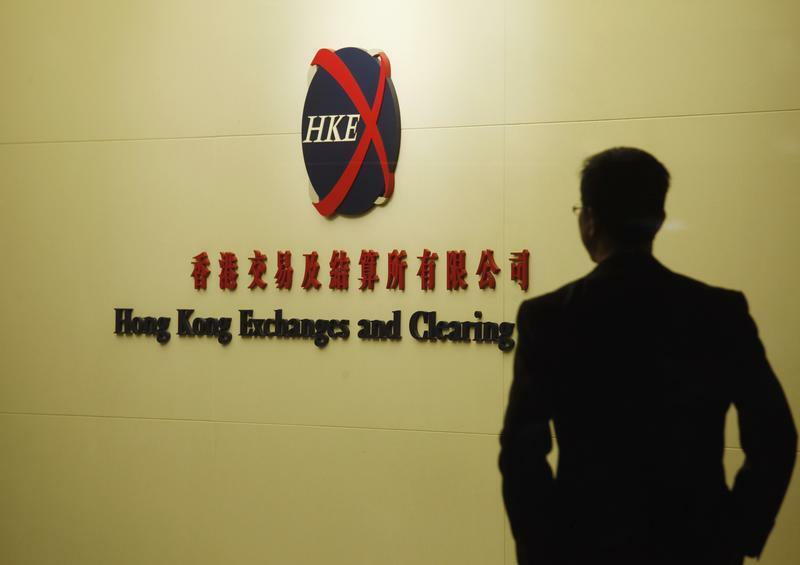 A man walks past the entrance to the Hong Kong Stock Exchange January 12, 2012. Power Assets announced on Sept. 27 plans to list its Hong Kong electricity business through a trust structure. The initial public offering could raise as much as $5 billion, according to a person familiar with the deal. Share stapled units will be offered to the public representing between 50.1 percent and 70 percent of HK Electric Investments, a fixed single investment trust. The trust will own a beneficial interest in 100 percent of the ordinary shares of Hong Kong Electric, one of two power companies operating in the former colony. The trustee manager, controlled by Power Assets, will have 100 percent legal interest in the ordinary shares of the Hong Kong business. It will be the territory’s third business trust listing after HKT Trust was spun off and listed in 2011 by the city’s biggest phone carrier PCCW, chaired by Li’s son Richard. Langham Hospitality Investments raised $550 million through a trust listing earlier this year in May. Billionaire Cheng Yu-Tung’s New World Development has also considered listing three hotels through a share stapled trust. There are 16 listed business trusts in Singapore.